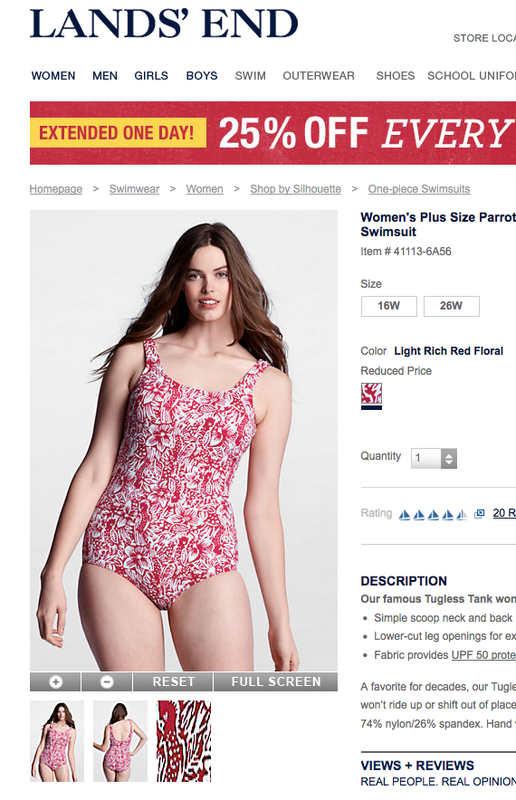 Ok, either this woman has a shrunken head, or LandsEnd is Photoshopping new heads onto plus size models. In order to promote healthy self-image for teens and women, it’s important for retailers to leave plus size model heads on plus size bodies. I’m positive that their beautiful faces would have looked better than this modern day exquisite corpse. Please leave a comment and give us your opinion. Photoshopped or a natural head?